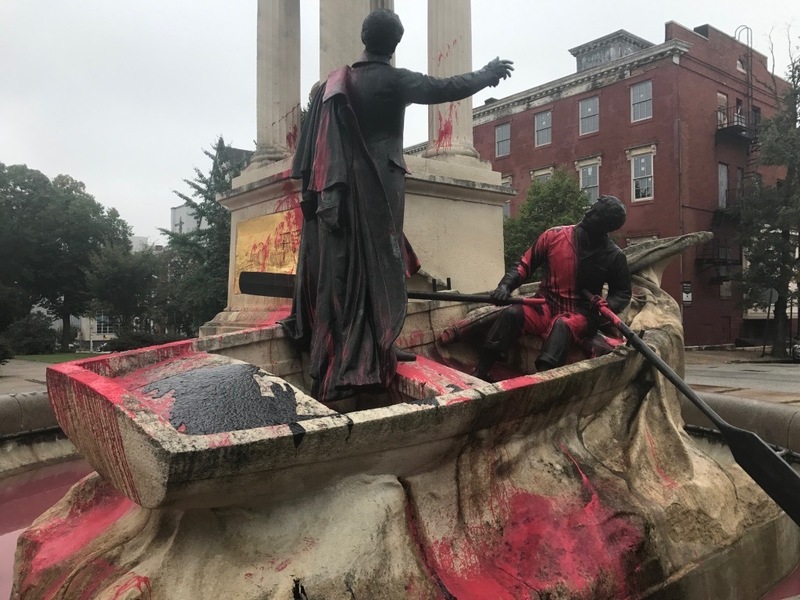 The Key Monument on Eutaw Place is a grand reminder of how Baltimoreans have kept the memory of the Battle of Baltimore and the War of 1812 alive over two hundred years. Francis Scott Key was a Maryland lawyer and slaveholder who was on board the British vessel HMS Tonnant during the evening of September 13 and morning September 14, 1814, as part of a delegation to try to negotiate the release of prisoners. Key was stuck on board the British vessel to helplessly watch as the British Navy shelled Fort McHenry and Baltimore throughout the night. At dawn, Key saw the Stars and Stripes still flying over the fort. That morning, the unsuccessful British allowed Key to return to shore, and on the return trip, he wrote a poem describing his experience the night before. The poem was quickly published in two Baltimore papers on September 20, 1814, and days later the owner of a Baltimore music store, Thomas Carr of the Carr Music Store, put the words and music together in print under the title "The Star-Spangled Banner." 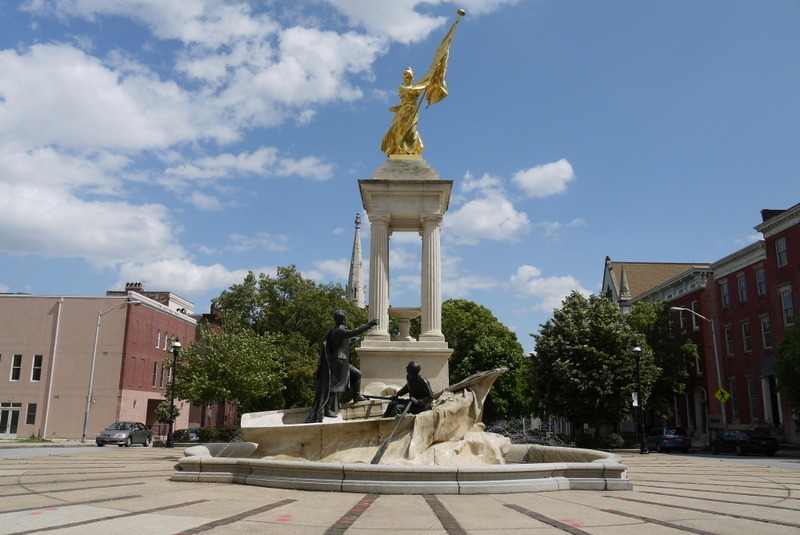 Before his death in 1907, Baltimore resident Charles Marburg gave $25,000 to his brother Theodore to commission a monument to his favorite poet, Francis Scott Key. Theodore selected French sculptor Marius Jean Antonin Mercie known for monumental sculptures of Robert E. Lee (1890) in Richmond, Virginia, and General Lafayette (1891) in the District of Columbia. The Key Monument was added to Eutaw Place in 1911. 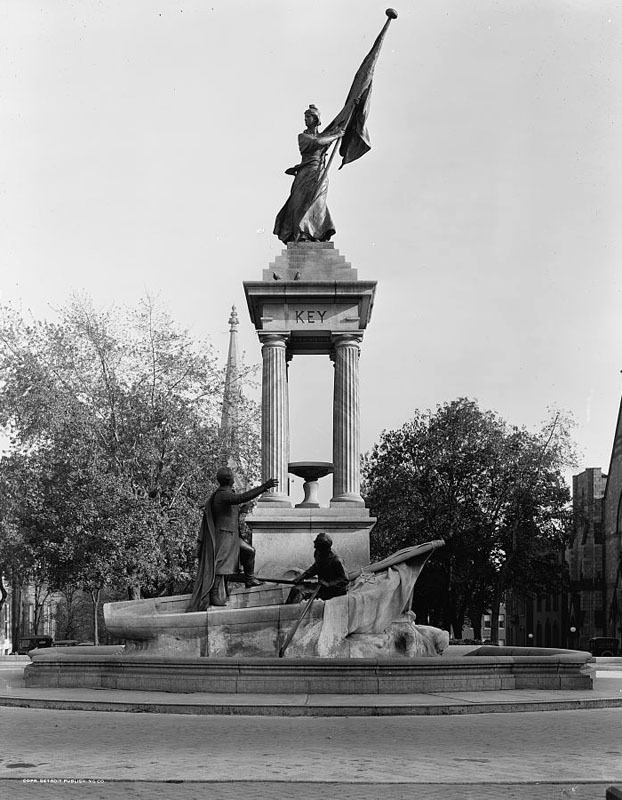 The monument was restored in 1999 after a multi-year fundraising campaign by local residents. 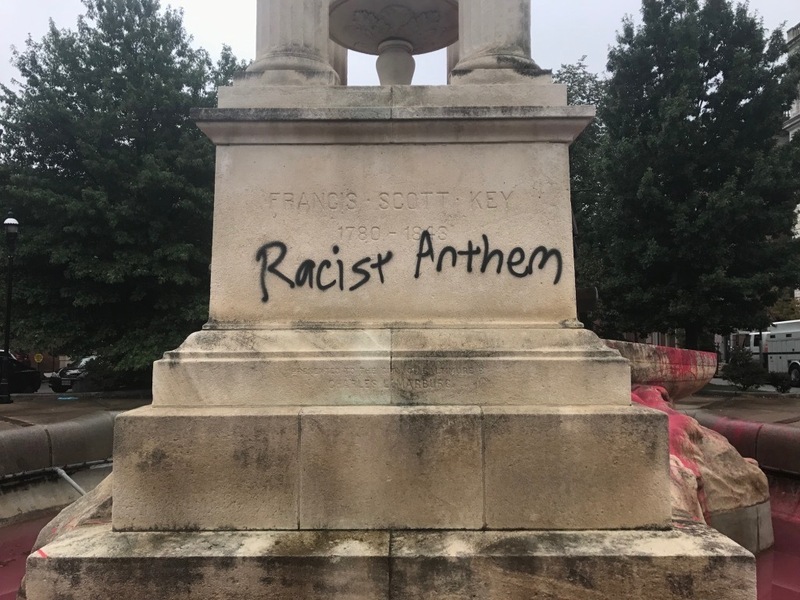 In September 2017, the monument was spray painted with the words "Racist Anthem" and splashed with red paint to highlight Key's legacy as a slaveholder. The city quickly restored the monument but it remains secured with a chain link fence. 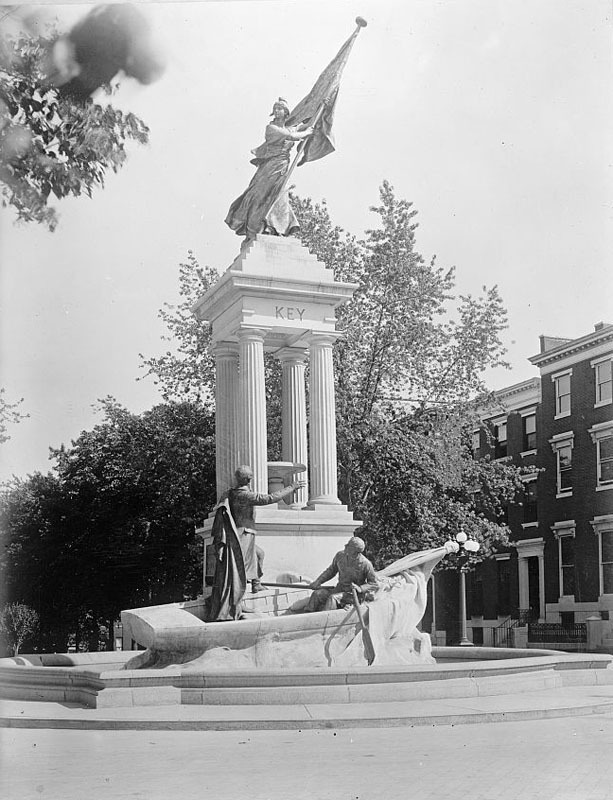 Johns Hopkins, “Francis Scott Key Monument,” Explore Baltimore Heritage, accessed April 19, 2019, https://explore.baltimoreheritage.org/items/show/105. Published on Jun 21, 2012. Last updated on Nov 27, 2018.